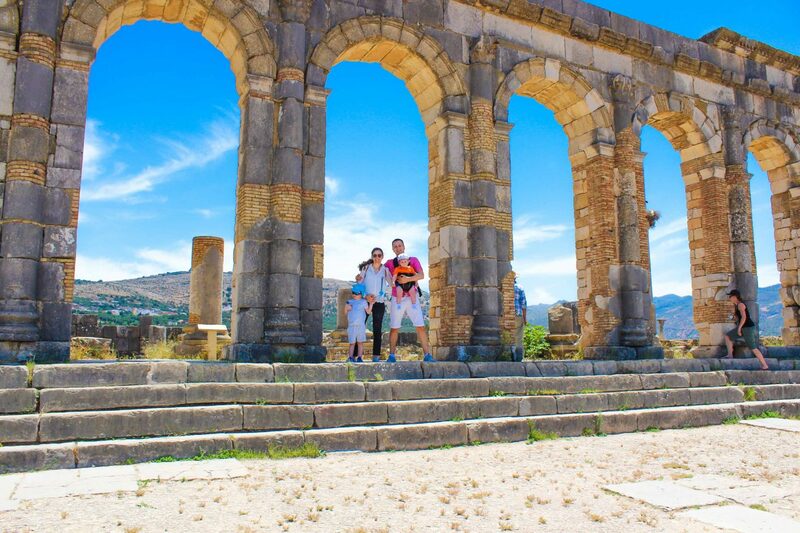 Volubilis, Moulay Idriss and Meknes in one day tour. 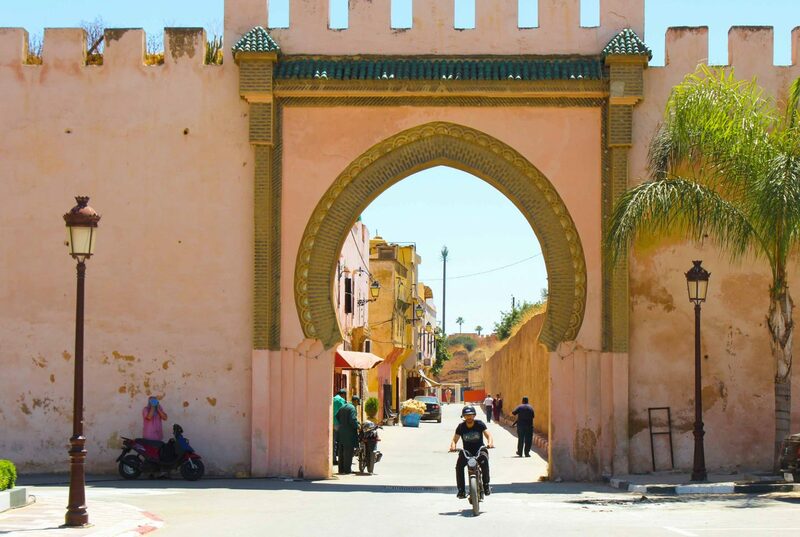 How many surprises can get you a trip to Morocco? If you follow our adventures on instagram, you would know, a lot. 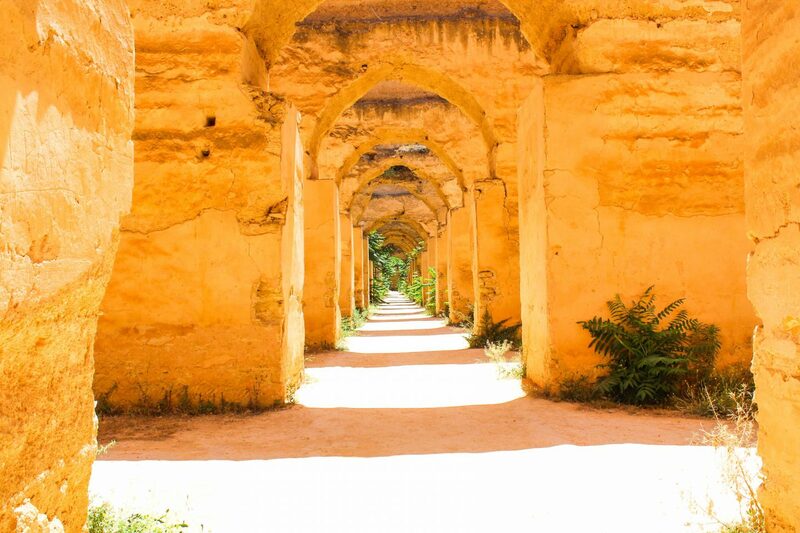 Our latest trip to Morocco, was full of interesting discoveries. 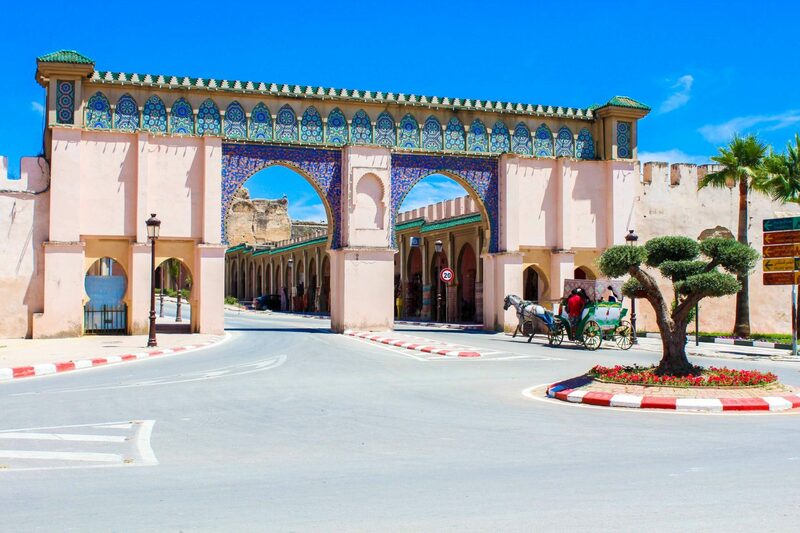 One of these discoveries, were visiting Volubilis, Moulay Idriss and Meknes in one day tour from Fez with Viajes Marrakech. 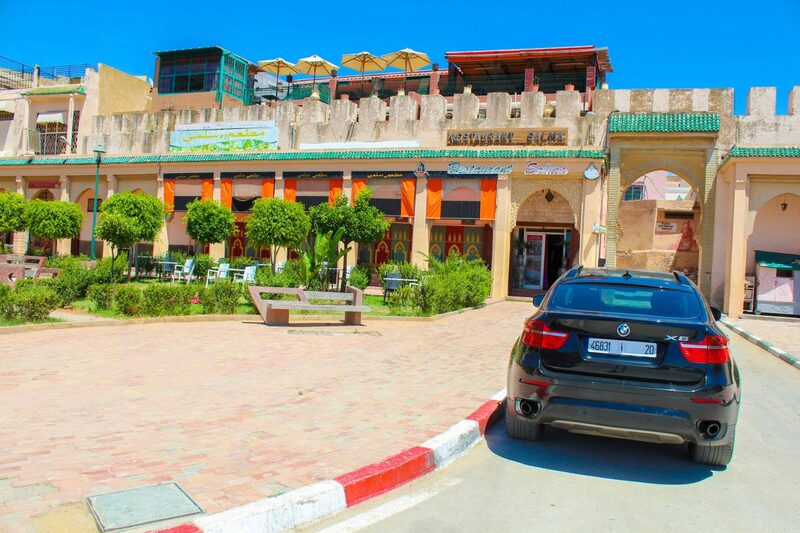 Mohamed from Viajes Marrakech came at 9am to pick up us on the Riad Borj Dhab. And our next day adventure began. On our way we have seen a lot of olive trees, beautiful landscape and a lot of sheep. 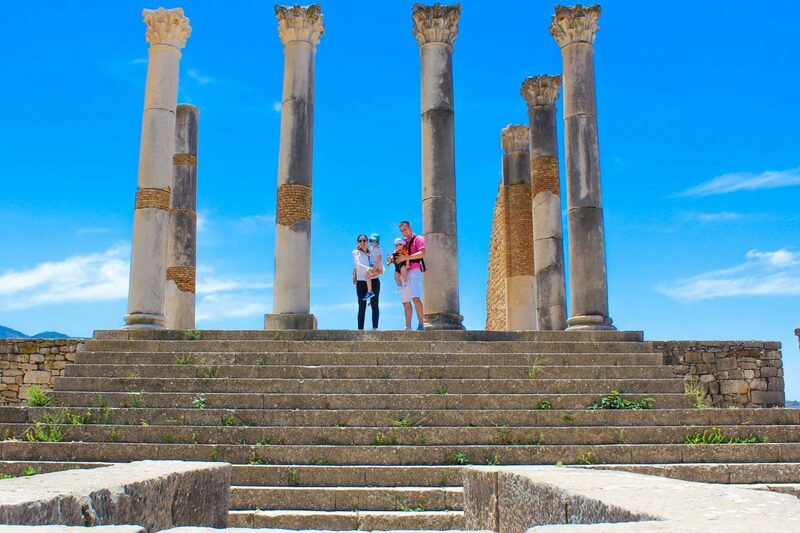 Volubilis is one of the best preserved archaeological place in Morocco. 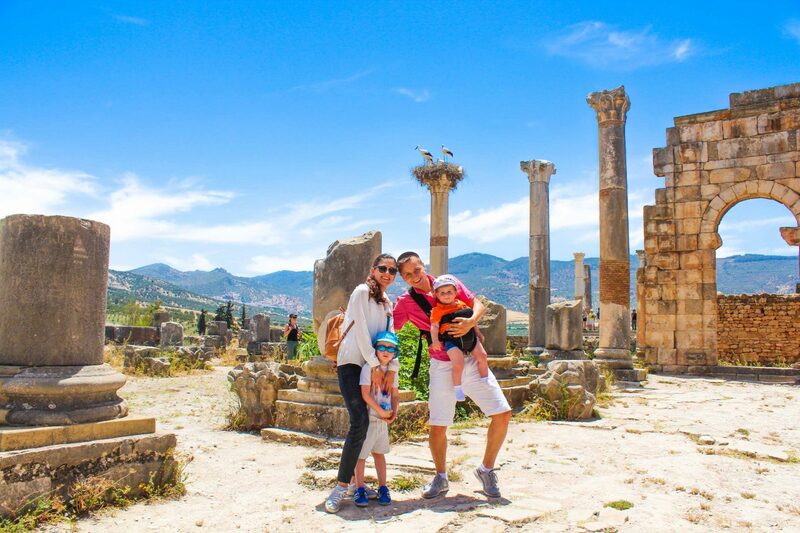 We went there with a special guide who told us the history of this place and guided us through the Roman ruins. It was 40 Celsius Degrees outside, and both our kids couldn’t stay too much on such a hot weather. So, we had to do a really quick visit through the ruins. Even though, it was an amazing experience. The settlement was dating 3rd century BC, and it is still considered one of Roman Empire’s most remote outposts. The production was often based on what the empire decided they need. Once walking, we passed through the different parts of the ruins. One of the sites includes a triumphal arch, capitol, baths and basilica. Due to several earthquakes a lot of the buildings collapsed. 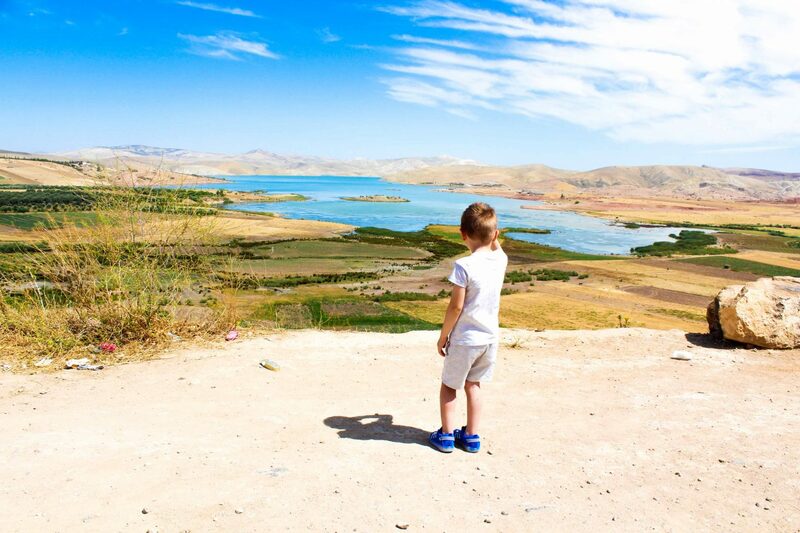 The guide told us that Romans lived there 300 years, then came Berbers and the Romans left the place. Nowadays, the ruins are spread on the area of 20 hectares, half of its original size. Every year different archaeological teams, from inside and outside of the country come and work to uncover the other half. 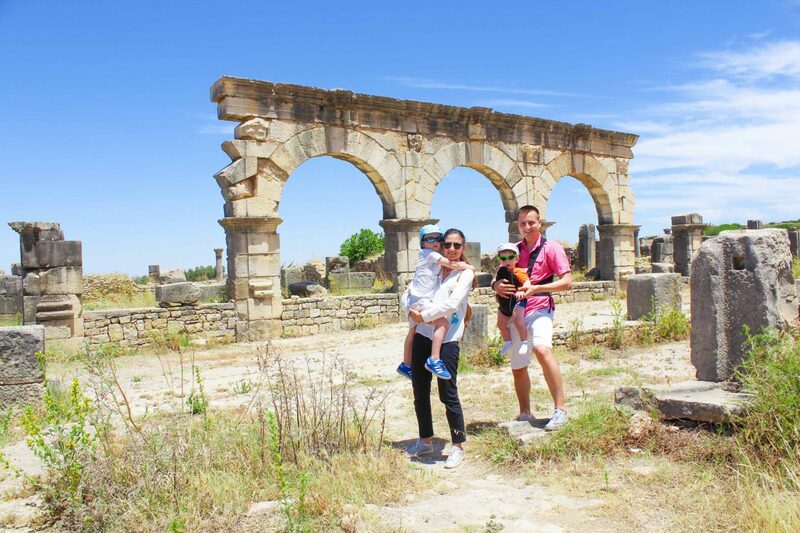 Volubilis can be a difficult place to find due to lack of road signs. 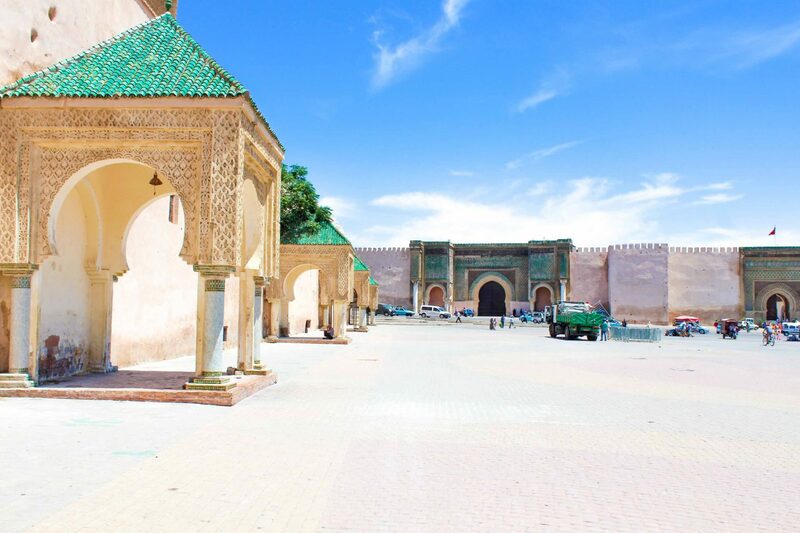 It is recommended that you take a Morocco tour operator to the site. 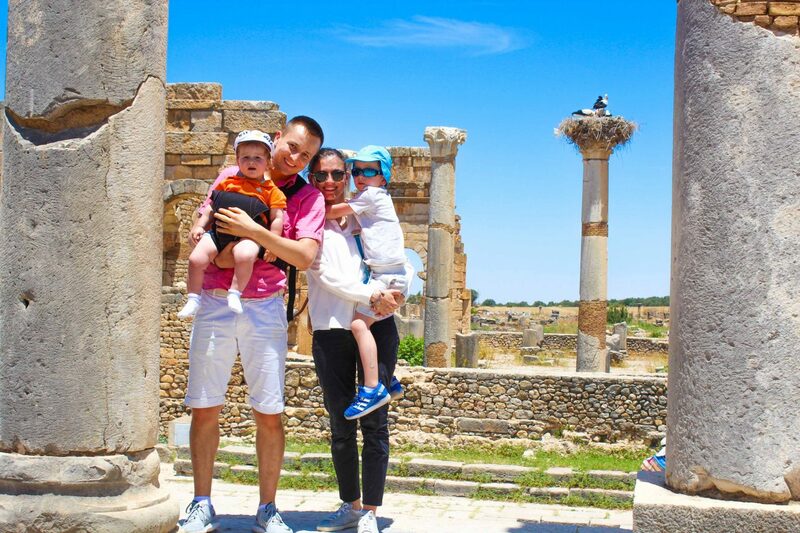 We took a specialist from Viajes Marrakech. 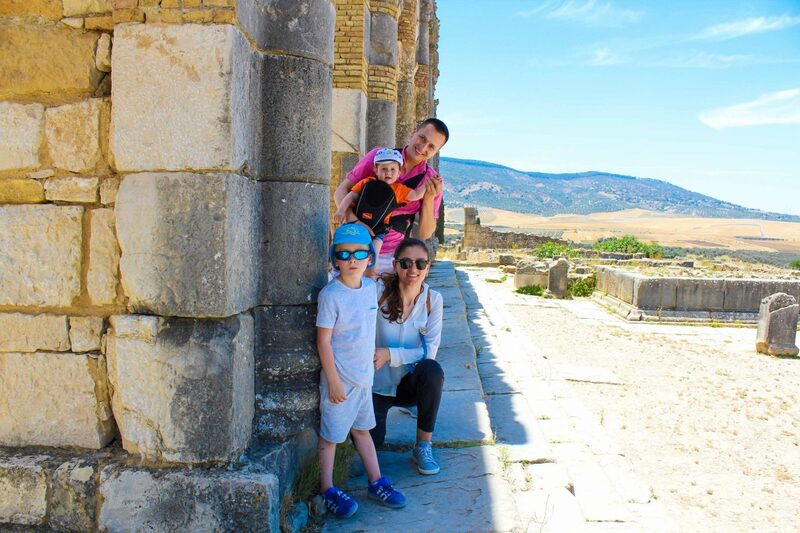 Our second stop was a really quick one in Moulay Idriss, it is a town near Volubilis. 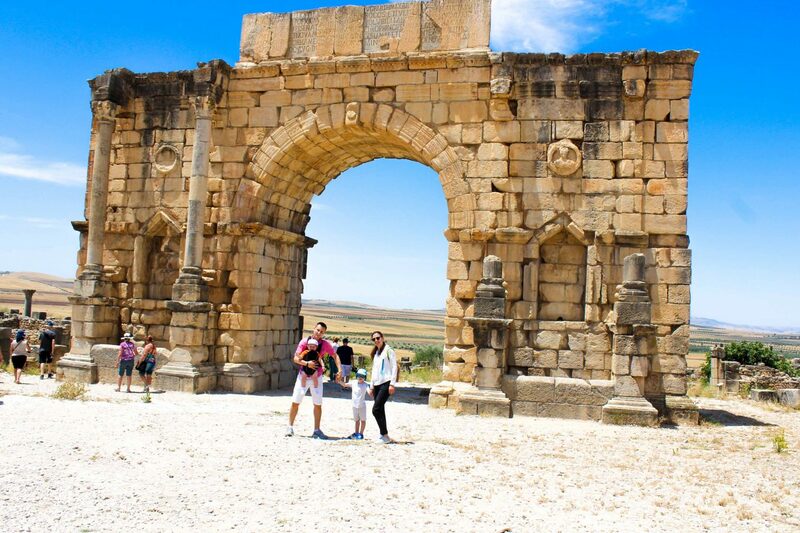 A lot of tourists make a walk from Volubilis to Moulay Idris as it is very close. 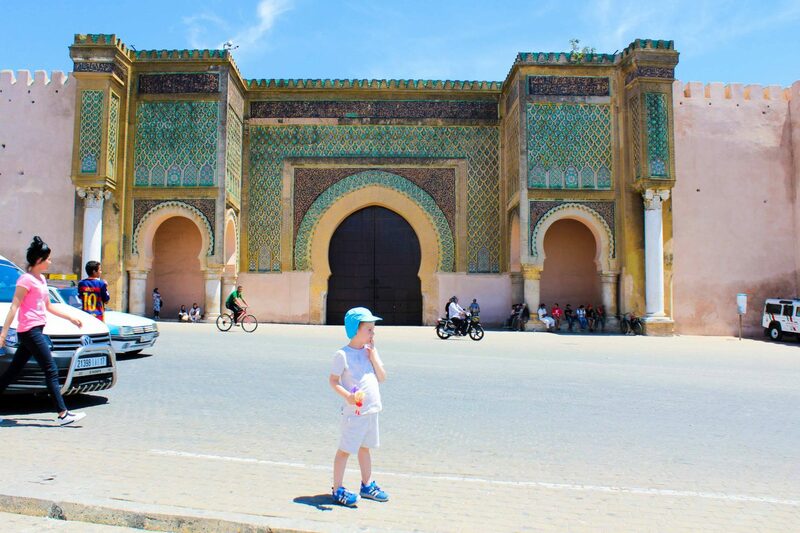 And our last stop, was Meknes, one of four Imperial towns in Morocco. 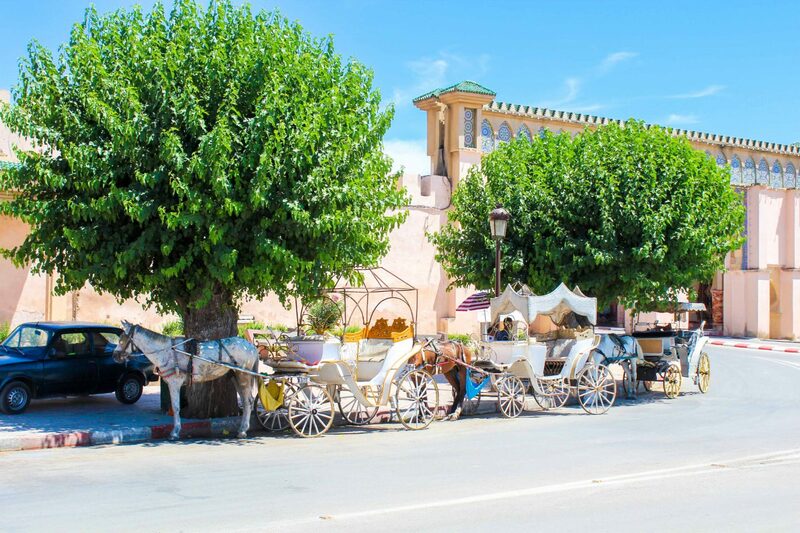 El-Hedim square is one of the biggest merchant place you can see within these 3 towns. 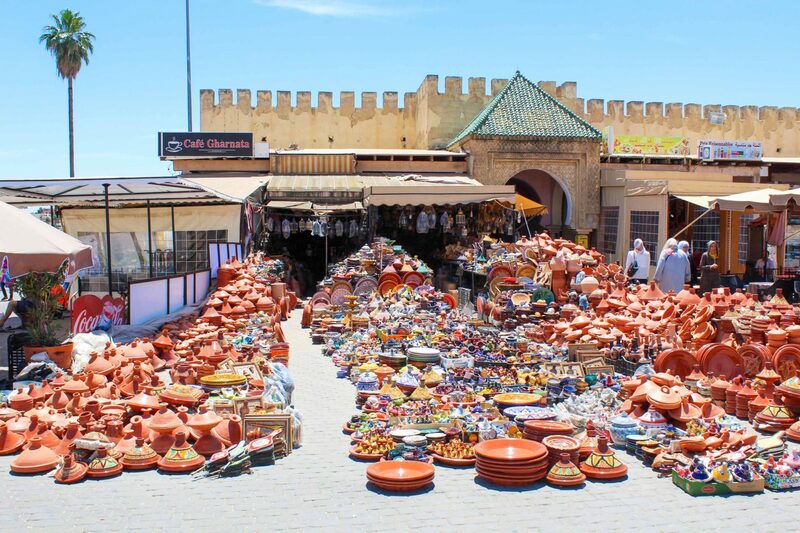 It is spectacular, how many merchants and the variety of things you can buy there. It remembered me our trip to Marrakech almost 5 years ago. Apart of the stop we made in the El-Hedim square, we went to Bab Mansour, a huge gate with arches and mosaic tiling. This gate leads into the former imperial city. Apart of how amazing is this place, we enjoyed a cool stay there. Here our guided tour with Viajes Marrakech went to an end, and we came back to Riad Borj Dhab, where waited us a delicious dinner for our family. I would like to say special thanks to Viajes Marrakech for a great planning of 2 days of our stay in this beautiful country, Morocco. And special thanks to Riad Borj Dhab for helping us to feel at home away from home. I hope our kids will remember at least something from our stay there. 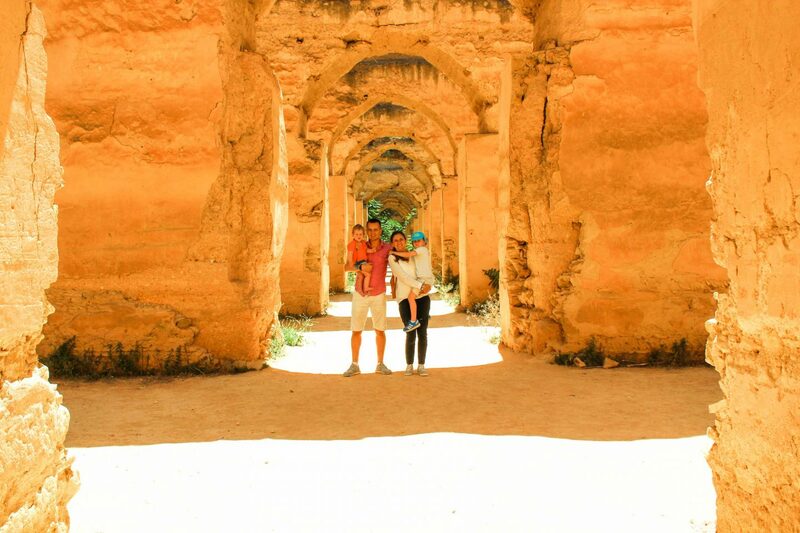 Previous Post Discovering Fez, Morocco with Viajes Marrakech. Guided tour review. Next Post Family getaway to Sitges. 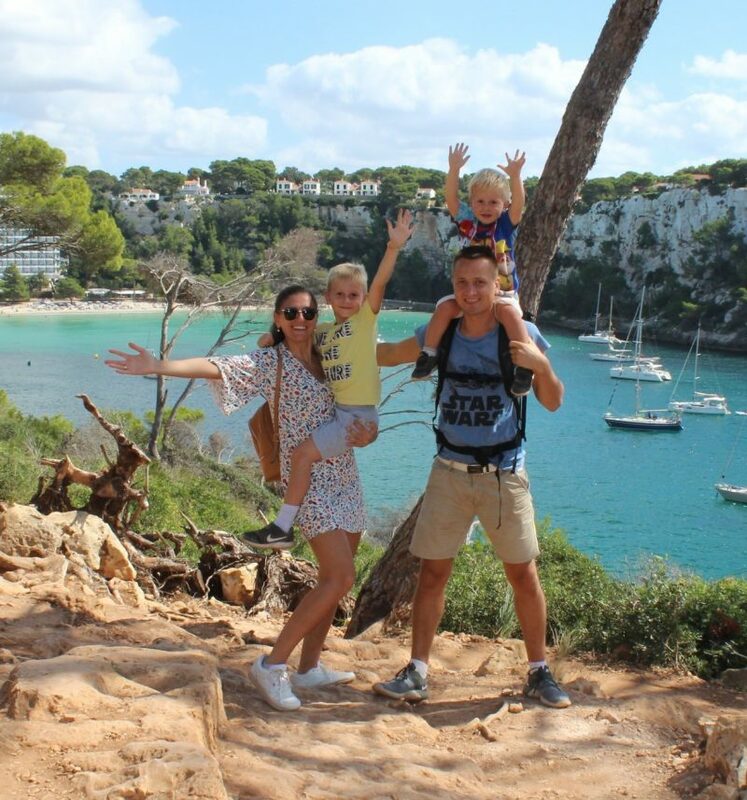 A quick escape from Barcelona with 2 kids. Merci mult! Intr-adevar e un loc minunat si merita de-l vazut cu familia! Thank you so much for your kind words. Happy to read it! How do you handle naps and sleep schedules with the traveling? Would love to know your secrets! Ohhh, there is no any secret. Sometimes we get very tired, but any travel is worth the time and effort that we make.